Welcome to Rydal, the tiny and unique village, listed as a heritage site, set in magnificent countryside. Rydal remains a quintessential rural village with its invigorating climate and fresh air. The tidy village has won awards for its contribution to the environment, to community events, and to Keep Australia Beautiful Competitions. One of the highlights of the year is “Daffodils at Rydal”. An annual event held in the 2nd and 3rd weekend of September to celebrate the arrival of spring. 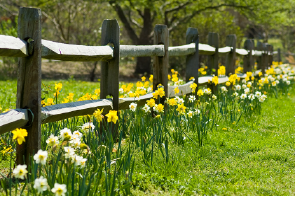 Thousands of daffodils have been planted in the parks and gardens of Rydal which is named after the English village of Rydal home for many years of the poet William Wordsworth, famous for his poem “The Daffodils”. 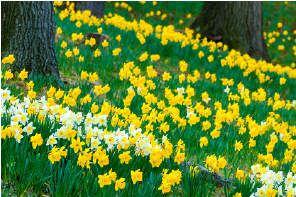 Visit the events page for more details about Daffodils at Rydal. Each year on the first Saturday in February Rydal plays host to the biggest little show in the west. The Rydal Show held at the Rydal Showground is a real country show, with horses, dogs, cattle, sheep, wood chopping, yard dog trials and traditional cooking and craft competitions and exhibitions. Rydal has a great variety of different kinds of accommodation and events and activities.